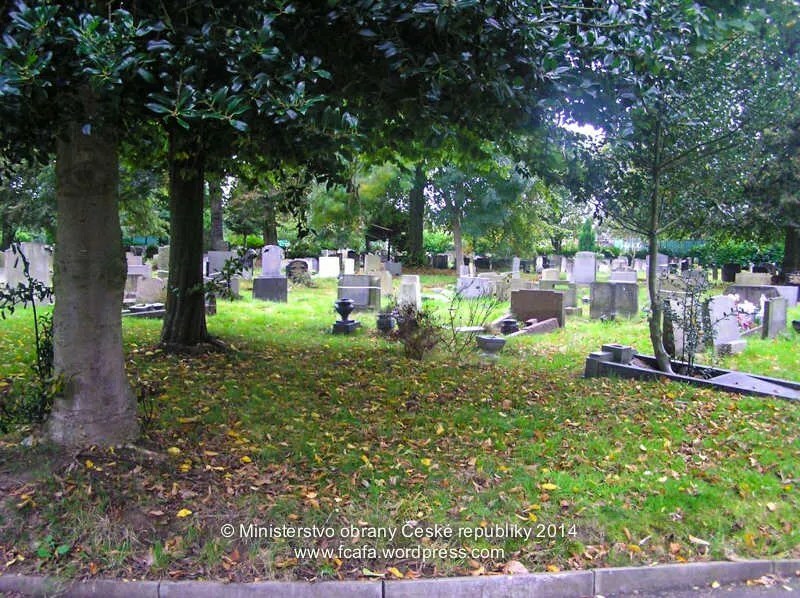 1 – Cheadle and Gatley Cemetery, Cheadle. The cemetery contains war graves of both world wars. The 1914-1918 burials number 28, and are in various parts of the burial ground. There are 41 Service burials of the 1939-1945 war and they too, are distributed throughout the cemetery. 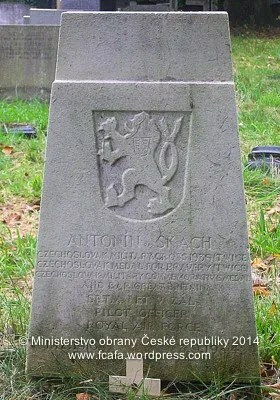 ŠKACH Antonín, 27, P/O, 310 Sqn, Pilot. † 03/09/44, St Michael, Cornwall. Crash at start of operational flight. Grave ref: Sec. 15. Grave 45. A symbolic urn was returned to Plzeň 1945. Address: Cheadle and Gatley Cemetery, Park Road, Cheadle, Greater Manchester SK8 2AN. 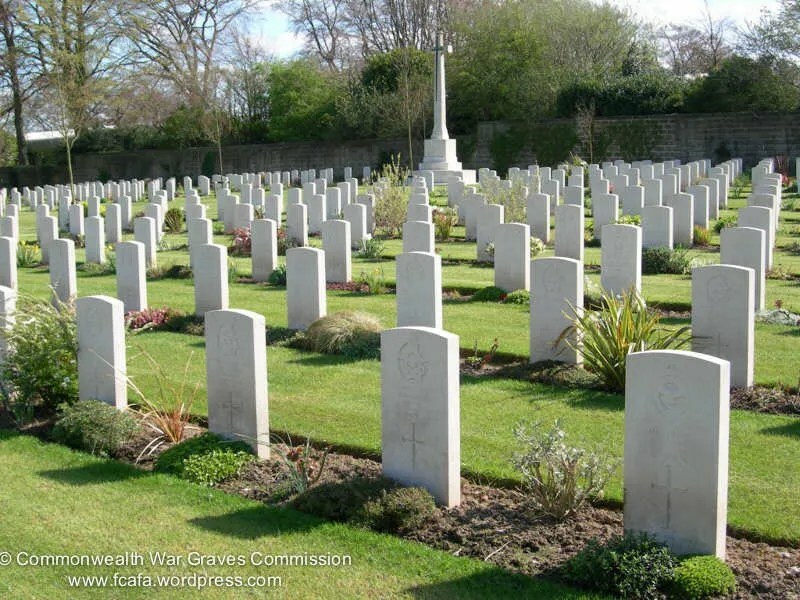 There are 108 Commonwealth burials of the 1914-1918 war and 129 of the 1939-1945 war here. Those whos graves are not marked by headstones are named on 2 denominational Screen Wall memorials. The graves are scattered throughout the cemetery in denominational plots. There are also 2 Foreign National war burials. 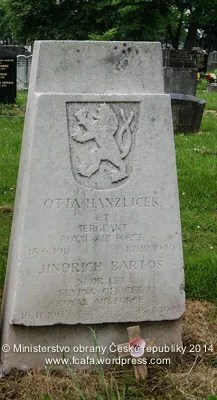 HANZLÍČEK Otto, 29, Sgt, 312 Sqn, Pilot. * 18/06/11, Ústí nad Labem. † 10/10/40, Ellesmere Point, Merseyside. Bailed out during a training flight incident, drowned in the mud of the river Mersey. Grave ref: Sec. 11. R.C. Coll. grave 392. A symbolic urn was returned to Ústí nad Labem 1945. 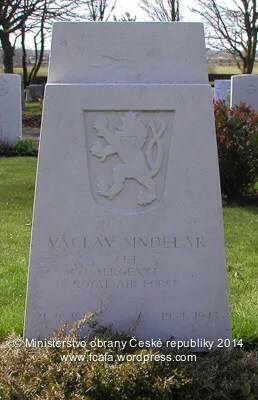 BARTOŠ Jindřich, 29, F/O, 312 Sqn, Pilot. Killed during a training flight at Liverpool. His Hurricane Mk I V6885 DM-V at 14:30 for unknown reasons (probably the pilot’s loss of consciousness due to oxygen failure device) crashed at Telegre at Prestatyn. A symbolic urn was returned to Prague Olšanský 1945. Address: Lower House Lane, Liverpool, Merseyside L11 2SH. 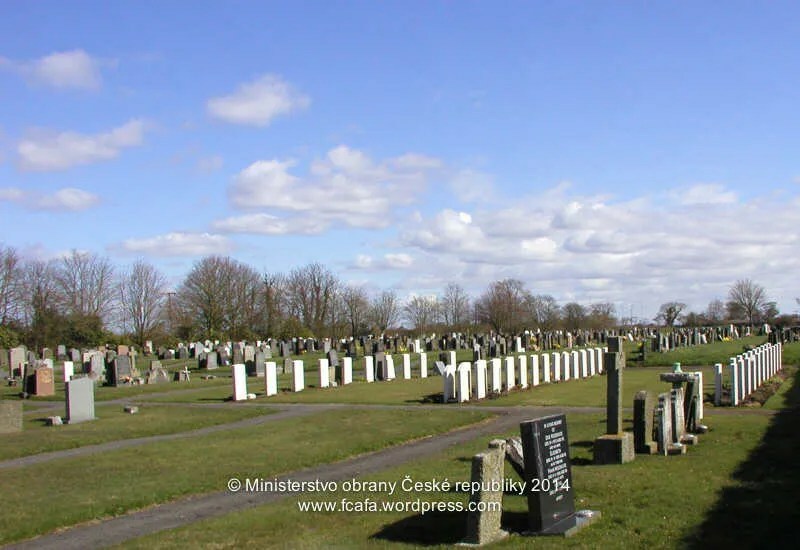 3 – Silloth (Causewayhead) Cemetery, Holme Low. During the early months of the 1939-1945 War a section in the south-eastern corner of the cemetery was set aside by the local authorities for the burial of service personnel, which was gradually extended to cover Sections S and R and half of Section P. This is now the War Graves Plot. Most of the airmen buried here were serving at the Royal Air Force Station at Silloth, where there is a large aerodrome. Many of the bodies were recovered from the sea, and two could not be identified. During the war a site was selected for the Cross of Sacrifice and reserved by the local authorities. It stands in an imposing position at the entrance to the cemetery, and is approached by a short flight of stone steps up the sloping bank. The raised mound is surrounded by a circular terrace. The Cross, in its central position on the mound, dominates the whole of this beautiful cemetery, including the War Graves Plot in the far left-hand corner. The cemetery covers about 4 acres. VOTRUBA Bohumil, 27, F/Sgt, 312 Sqn, Pilot. * 07/02/14, Skalica, Banská Bystrica. † 06/05/41, Targs Crag, Loweswater. Failed to return from a night training flight in Hurricane V6921 – DU-R, his body was washed ashore at Loweswater, near Whitehaven, Cumbria. Grave ref: Sec. P. Grave 13. A symbolic urn was returned to Slovakia 1945. Silloth, a seaport town on the Solway Firth, is the port of Carlisle which lies 22 miles inland. Address: Silloth (Causewayhead) Cemetery, Holme Low, Wigton, Cumbria CA7 4PQ. 4 – Carlisle [Dalston Road] Cemetery, Carlisle. The Fusehill War Hospital, with 650 beds, was established in the Poor Law Hospital and two schools at Carlisle. Of the 134 Commonwealth burials of the 1914-1918 War, 79 are in a plot on the eastern side of Ward XI and the remainder scattered in other parts of the cemetery. There are 128 Commonwealth burials of the 1939-1945 War, of these, around half of which are situated in the War Graves Plot, which adjoins the 1914-1918 War Plot, some being on the southern side of Ward XI, Section P, and the rest opposite to them on the northern side of Ward XVI, Section O. Another group in the Roman Catholic section contains 14 burials in Ward XIII, Section P. The remainder of the 1939-1945 War burials are dispersed in various parts of the cemetery. 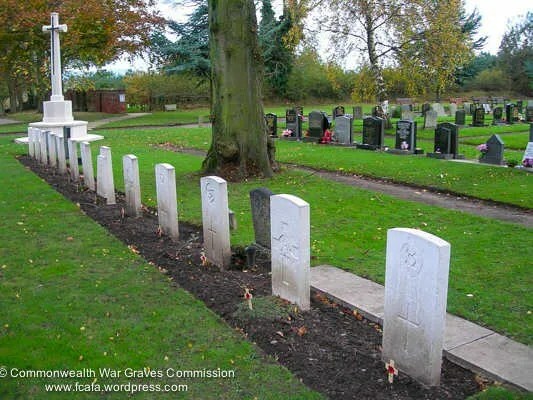 Many of the airmen buried here belonged to the Royal Air Force Operational Training Unit at Crosby-on-Eden. The Cross of Sacrifice stands near the junction of the 1914-1918 and 1939-1945 War Plots, thus serving as a central memorial for the graves of both wars. This Service Plot is shaded by an avenue of beech trees and sycamores, and is divided into two sections at the far corner by the main pathway. 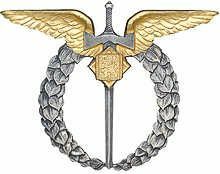 ZEMAN Boris, 26, Sgt, 57 OTU, Pilot. * 16/10/18, Slavuka, Volyň, Russia. Lost orientation in fog during a training flight in Spitfire EP518, and crashed into a hill approx 10 km north-west of Haltwhistle, Cumbria. Grave ref: Ward 16. Sec. O. 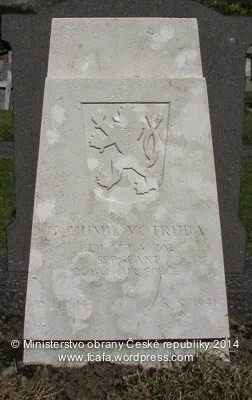 Grave 105. 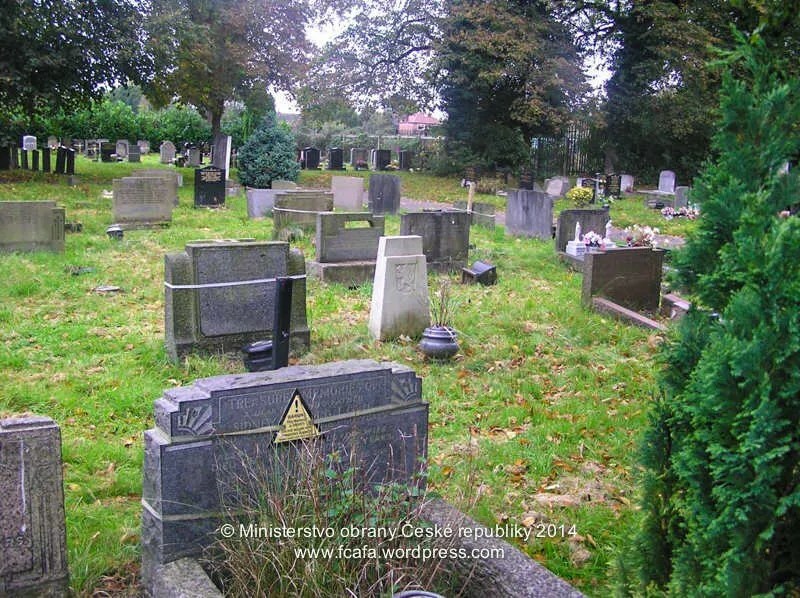 The cemetery (officially Carlisle Cemetery) lies on the south-western side of the city on the road to Caldbeck at the corner of Dalston Road and Richardson Road. It covers more than 60 acres of ground and belongs to the City Corporation. The main entrance is in Richardson Road on the northern side, from which an avenue leads, over a bridge across Fairy Brook, to the War Graves Plots of both World Wars situated in the southern portion. Address: Carlisle [Dalston Road] Cemetery, Dalston Road, Carlisle, Cumbria CA2 6AW. 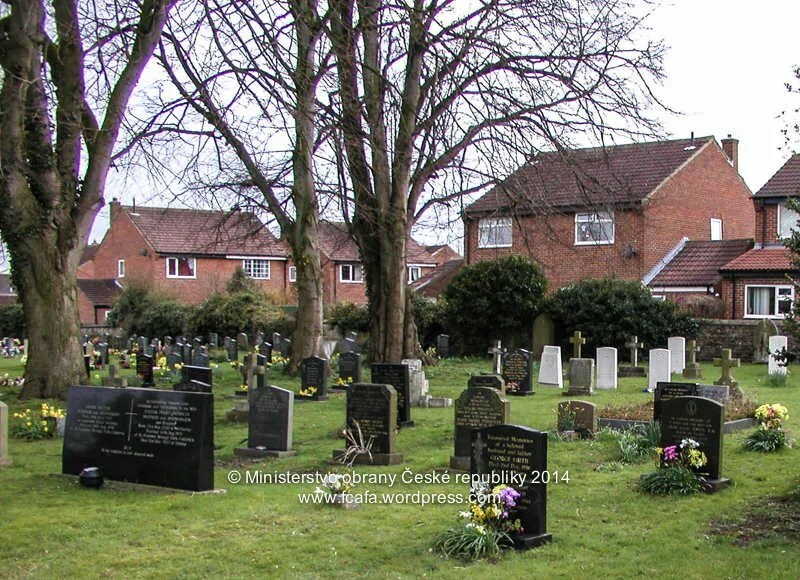 5 – Chevington Cemetery, Morpeth. 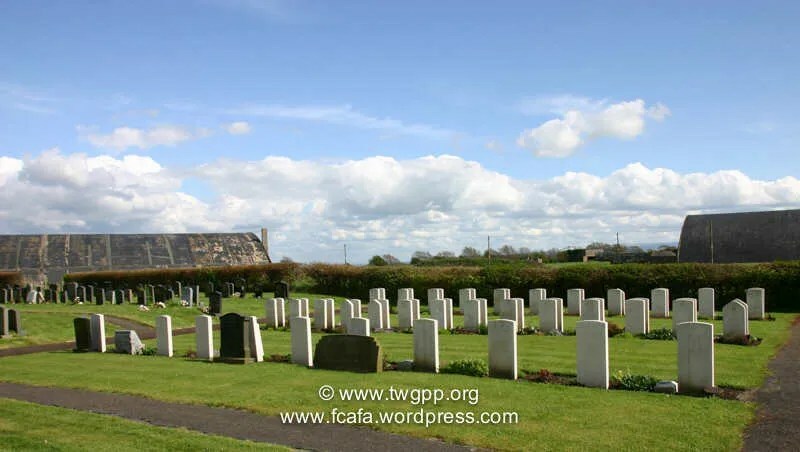 During the Second World War there was a Royal Air Force Sector Airfield at Acklington and the majority of the war burials from this period at nearby Chevington Cemetery are of airmen. Most of these graves are grouped together in a war graves plot behind the chapel. Elsewhere in the cemetery are six burials of the First World War. 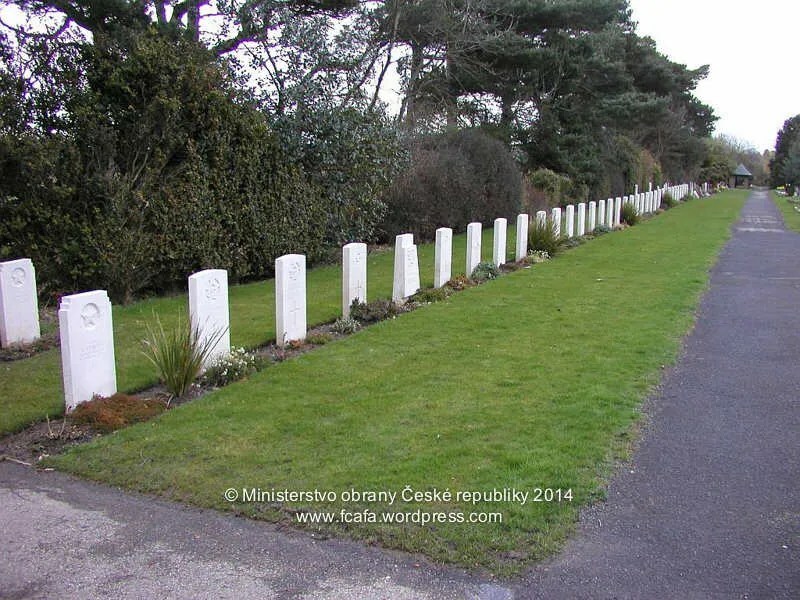 The cemetery also contains three Polish war graves and a separate group of 17 German burials near the war graves plot. KOCOUREK Ladislav, 25, Sgt, 57 OTU, Pilot. † 17/03/43, Brotherick Farm, Warkworth, Northumberland. Killed in a flying accident, his Spitfire AR222 collided with Spitfire X4266 during practising crossover turns with Free French pilot P/O J. B. Nemoz. Grave ref: Sec. H. Grave 194. A symbolic urn no 2, was returned to Ostrava Hrabyně 1945. ŠINDELÁŘ Václav, 24, Sgt, 57 OTU, Pilot. † 19/04/43, South Rock Hall, Burton. Killed during training flight when his Spitfire P7352 crashed at South Rock Hall, Burton. Cause of crash is believed to be because of a oxygen system fault. Grave ref: Sec. H. Grave 248.. Address: Chevington Cemetery, B1330, Morpeth, Northumberland. 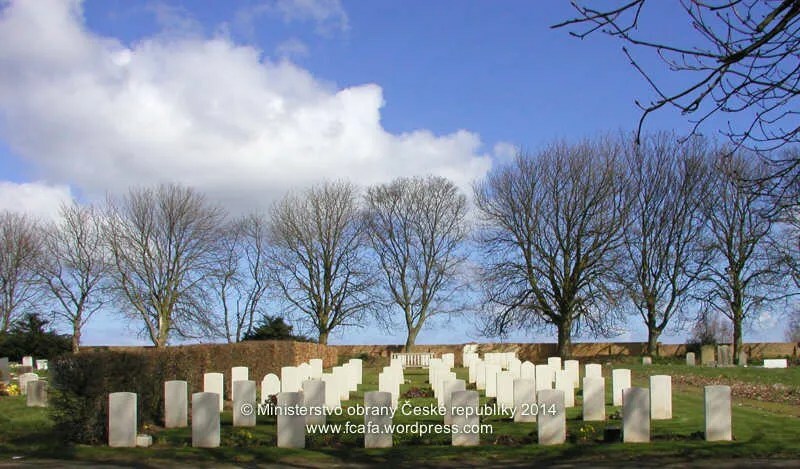 6 – Catterick Cemetery, Catterick. 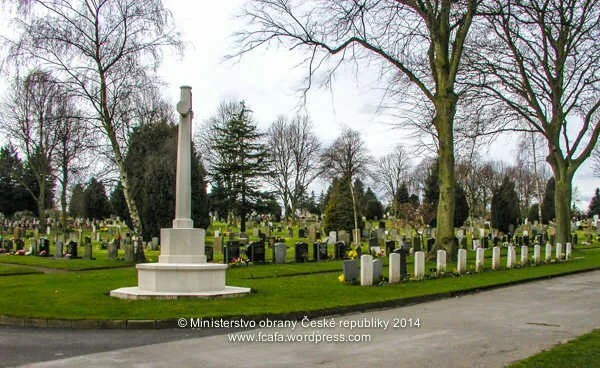 Catterick Cemetery belongs to the Parish Council and contains graves of both World Wars. 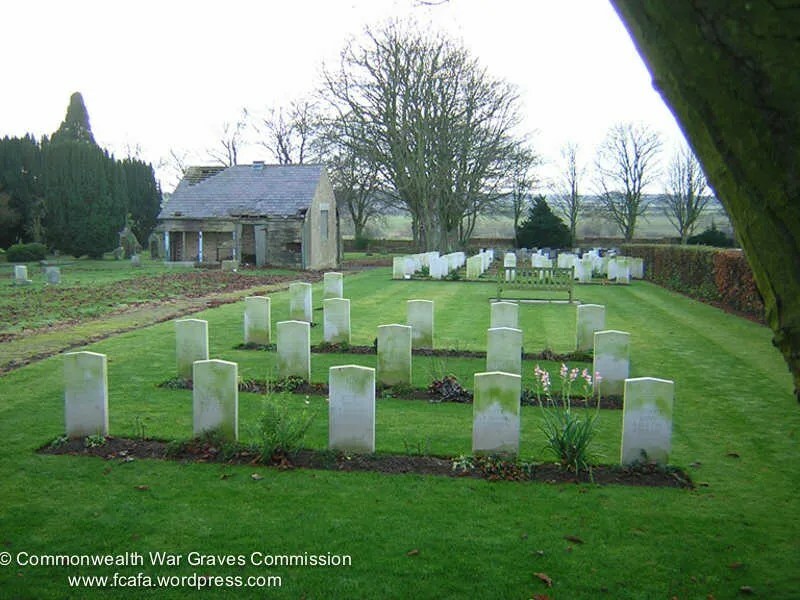 The majority of the 1939-1945 War graves are grouped together in the Church of England section in Rows M and O. Most of the airmen buried here came from the R.A.F. Aerodrome at Catterick, which was situated on the outskirts of the village (Catterick Military Cemetery at Hipswell was used for the burial of soldiers from the military camp nearby). 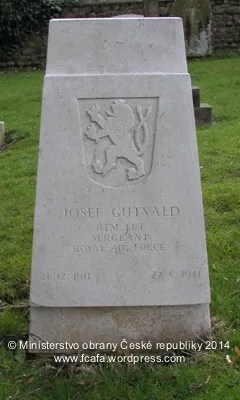 GUTVALD Josef, 29, Sgt, 313 Sqn, Pilot. 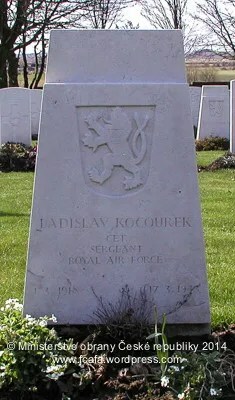 † 27/05/41, Uckerby, Scorton, Yorkshire. Killed in a accident during a training flight. Grave ref: R.C. Sec. Row D.D. Grave 9. A symbolic urn no 191, was returned to Ostrava Hrabyně 1945. Catterick village, in the North Riding, is five miles south-east of Richmond and 240 miles north-east of London on the main road to the North. Address: Catterick Cemetery, Catterick, Richmond, North Yorkshire DL10 7RT. 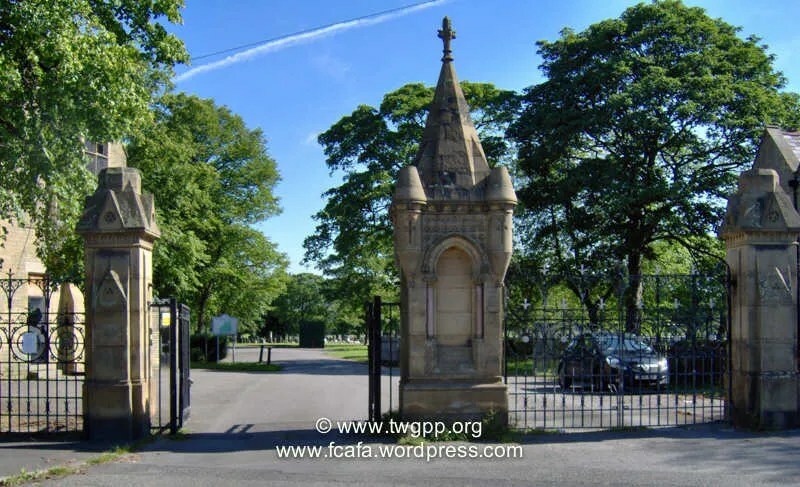 7 – Harrogate [Stonefall] Cemetery, Harrogate. 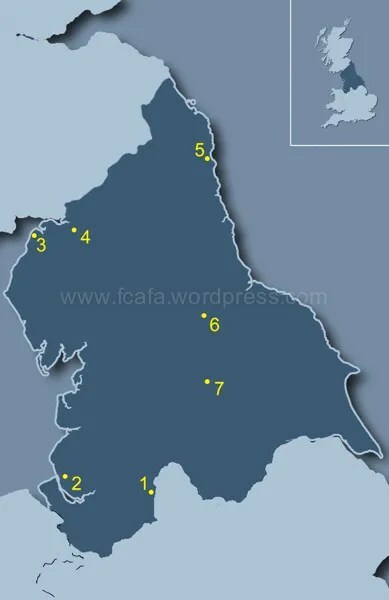 Many airfields were established in Yorkshire during the Second World War, among them R.A.F. station at Harrogate, Linton-on-Ouse, Tockwith, Rufforth and Marston Moor. No. 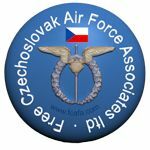 6 (R.C.A.F.) Bomber Group, had their headquarters at Allerton Park near Knaresborough and all the stations controlled by this group were in the area north of Harrogate, the largest base having its headquarters at Linton-on-Ouse. 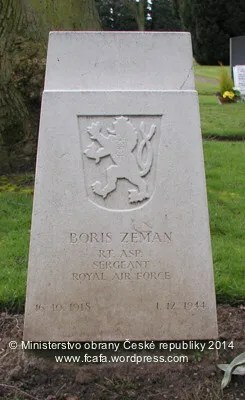 Nearly all of the 988 Second World War burials in Harrogate (Stonefall) Cemetery are of airmen, two-thirds of them Canadian. (1 of the burials is an unidentified R.A.F. airman), Many of these men died in the military wing of Harrogate General Hospital. During the early months of the war, a piece of land was set aside for service war burials in Sections 20E and 21E and in July 1943, the Air Forces Section was opened at the north-eastern corner of the cemetery for burials from airfields in Yorkshire and the north-eastern counties. A few of the war graves from this period are scattered elsewhere in the cemetery. There are also 23 servicemen of the First World War buried or commemorated at Harrogate Stonefall. This total includes six casualties alternativley commemorated by special memorial because their graves in churchyards elsewhere* could no longer be maintained. * Low Moor (Wesley Place) Methodist Churchyard; Edlington (St Peter) New Churchyard ; Denholme Wesleyan Reform Chapelyard. 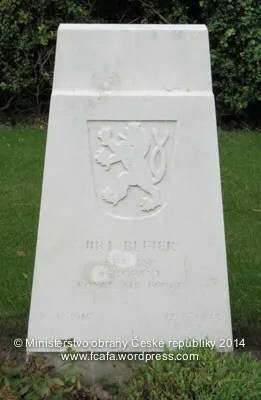 BLEIER Jiří, 28, AC2, 5 AOS, Navigator trainee. * 08/04/15, Jarošov, Uherské Hradiště. † 17/05/43, Uckerby, Scorton, Yorkshire. Grave ref: Sec. 20E. Grave 7095. A symbolic urn no 206, was returned to Prostějov 1945. Harrogate (Stonefall) Cemetery is located south-east of Harrogate, on the fringe of the town, just off the A661 on Forest Lane. Address: Harrogate [Stonefall] Cemetery, Harrogate, North Yorkshire HG2 7TH. 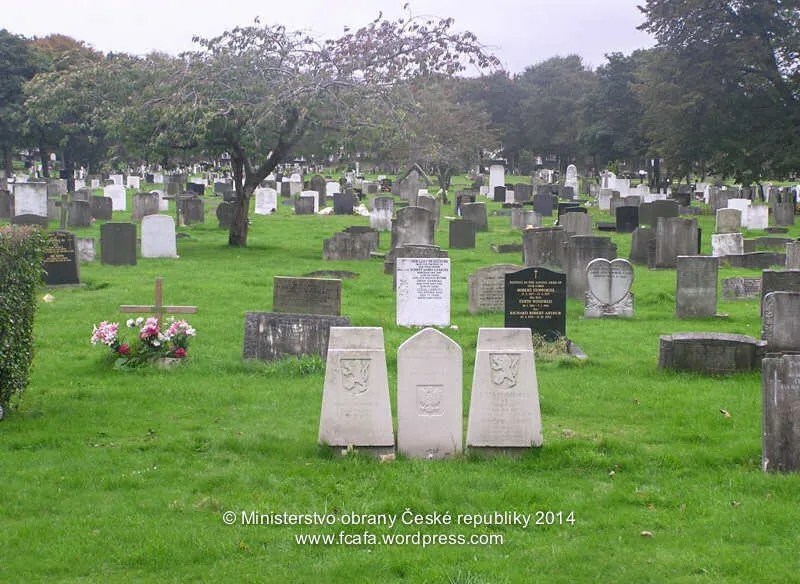 The assistance of Ministerstvo obrany České republiky [Ministry of Defence, Czech Republic], the Commonwealth War Graves Commission and The War Graves Photographic Project, with this article, is very much appreciated.